Do you have an upholstery question, need help, advice or professional support on an upholstery project. With 42 years of furniture upholstery experience, I may be able to help. My name is Joe Gramm, owner and upholsterer at Cape Cod Upholstery Shop. Submit your upholstery questions at the bottom of the page and I will try to answer them from a professional upholsterer’s perspective. Please allow a day or two for my reply. To help me answer your questions, please include a link to photos of your upholstery project. Use a service like Dropbox or Google+ and include the link with your question. Hi! I am sewing new leather upholstery for my 1960 Morris Minor. The seats have a middle section with four vertical tucks in them. I don’t want to topstitch the seams or the tucks, but also want to be sure they are strong and don’t pull apart. Should I use some kind of reinforcement for the seams or would using a basting stitch and good heavy polyester thread be enough? The car will not be a daily driver and will be garaged. Thanks for your help! I’m not an expert on either leather or auto upholstery. I think you could use a single stitch with either a #69 or #91 bonded polyester thread. For added strength you could add another stitch about 1/4″ out from your first stitch line, but that can add a bit of bulk to the seam. Maybe someone here in the group who works with leather and auto upholstery can help with a more definitive answer. Thanks! Any help or advice from the community is appreciated! I am using upholstery leather, have a Husquvarna Viking sewing machine, the proper needles and thread. 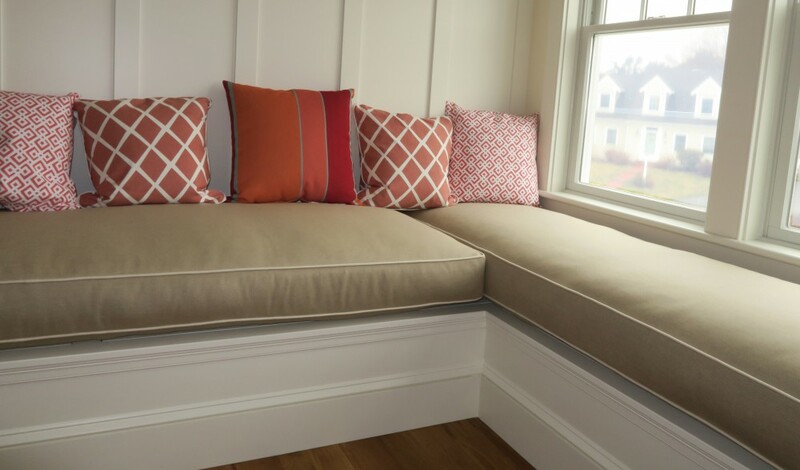 The seat is not large, and the three decorative seams will run vertically at about four-inch intervals and are about 8 inches long. They are very basic, rectangular seats — very straight lines, no curves or complications. My sewing skill is high, but this is my first project of this type and I wanted as much knowledge as possible before I begin. Thread size, thread type, stitch length, type of fabric, type of sewing machine, type of sewing machine foot, size of sewing machine needle, skill level of stitcher, could be anything as you can see. I need more info.